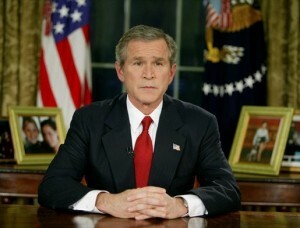 And, like the frenzied war fever of 2002-2003, today’s lawless consensus is operating on a mix of selective, dubious and false information – while excluding from the public debate voices that might dare challenge the prevailing “group think.” It’s as if nothing was learned from the previous disaster in Iraq. Most notably, there are two key facts about Syria that Americans are not being told: one, U.S. regional “allies” have been funding and arming radical jihadist groups, including Al Qaeda terrorists, there almost since the conflict began in 2011 and, two, the claim about “moderate” Syrian rebels is a fraud; the “moderates” have served essentially as a P.R. cut-out for the U.S. and its “allies” to supply Al Qaeda and its allies with sophisticated weapons while pretending not to. For Americans who may find those two points hard to believe, they should remember that the United States and Saudi Arabia went in 50/50 with billions of dollars to finance the jihadist mujahedeen in Afghanistan in the 1980s, viewing these religious fanatics as a useful “tip of the spear” to kill Soviet troops who were defending the leftist secular regime then governing in Kabul. That exercise in U.S.-Saudi realpolitik gave birth to the modern jihadist movement, bringing together a network of foreign jihadists, led by Saudi Arabia’s Osama bin Laden (which morphed into Al Qaeda), with Afghan/Pakistani extremists who evolved into the Taliban. Though U.S. officials eventually came to fear this Frankenstein monster that they had helped create, Saudi intelligence continued to work with Al Qaeda and its affiliates, using them as a kind of international paramilitary force to punish Saudi enemies, particularly Shiite-dominated governments, from Iran to Syria to now Iraq. The Saudis also began collaborating with Israel, which shared Riyadh’s view that Iran and the “Shiite crescent” represented a strategic threat. Between Saudi money and Israeli political clout, the two countries could fend off occasional fits of U.S. anger, even to the point ofgetting the U.S. government to hide a 29-page chapter about Saudi financing for the 9/11 hijackers from the congressional 9/11 report for a dozen years. 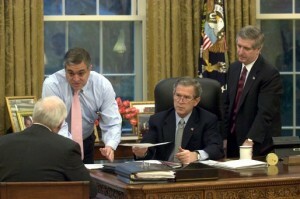 For the past five years, the principal target of this powerful coalition has been Syria, with President Obama occasionally joining in – as he did in authorizing “covert” CIA and Pentagon programs to arm “moderate” rebels – and occasionally bowing out – as he did in resisting pressure to bomb the Syrian military after a mysterious sarin gas attack outside Damascus on Aug. 21, 2013. This more complex reality is completely missing in the new round of political/press hysteria in the United States. The neocons and their liberal-hawk sidekicks only talk about stopping the “barbarism” of the Syrian government and its Russian allies as they try to finally wipe out Al Qaeda’s jihadists and their “moderate” allies holed up in eastern Aleppo. 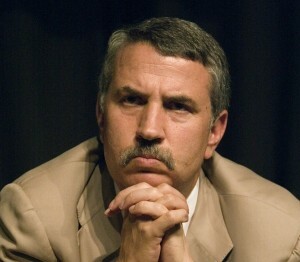 New York Times columnist Thomas L. Friedman. Many of these calls for a U.S. military intervention against the Syrian government (and the Russians) are coming from the same advocates for war who created the misguided consensus for invading Iraq in 2002-2003, voices such as Sen. John McCain, Washington Post editorial-page editor Fred Hiatt, and New York Times columnist Thomas L. Friedman. And, much like the Iraq example, these esteemed opinion-leaders pile up their propaganda arguments in a one-sided fashion designed to silence the few voices that dare raise doubts. This new “group think” has prevented Americans from looking at the Syrian situation with more nuance and objectivity. Indeed, if you mix in some of the other facts, the on-the-ground reality could be seen as the U.S. and its “allies” stoking the fire in Syria for five years and, now, as the Syrian military and Russian air power take drastic measures to finally get the blaze under some control, the U.S. government may bomb the firefighters and destroy their equipment. Beyond the illegality of that action, how the U.S. military intervention is supposed to fix things in Syria is never discussed. By strengthening Al Qaeda and its “moderate” front men, the prospects for a longer and bloodier conflict are increased, not decreased. The long-held neocon dream of a Syrian “regime change” – even if it could be accomplished – would only open the gates of Damascus to a victory by Al Qaeda and/or its spinoff, the Islamic State. How that would make life better for the Syrian people is another never addressed question. There is simply the pretense that somehow, magically, the “moderate” rebels would prevail, though they are only an auxiliary to Al Qaeda’s Syrian franchise. The “group think” also doesn’t permit in the inconvenient truth that the recent collapse of the U.S.-Russia limited cease-fire was driven by the fact that the “moderate” rebels are so intertwined with Al Qaeda’s Nusra Front – which recently underwent a cosmetic name change to the Levant (or Syria) Conquest Front – that the rebels can’t or won’t separate themselves. The New York Times, The Washington Post and other mainstream news outlets have sought to bury this reality because it doesn’t fit the preferred narrative of the U.S. fulfilling its commitments under the partial cease-fire agreement and blaming its collapse entirely on the Russians and their dastardly behavior. One outlier in this propaganda barrage, ironically, has been Rupert Murdoch’s Wall Street Journal, which published a serious article on this key topic on Sept. 29. It said, “Some of Syria’s largest rebel factions are doubling down on their alliance with an al Qaeda-linked group, despite a U.S. warning to split from the extremists or risk being targeted in airstrikes. So, isn’t that point relevant to understanding what is occurring in eastern Aleppo, an area essentially under the control of Al Qaeda terrorists? As horrible as war is, there is more than a whiff of hypocrisy when politicians and pundits, who cheered the U.S. Marines’ destruction of Fallujah during the Iraq occupation and who support driving the Islamic State out of the Iraqi city of Mosul, wax indignantly in outrage when the Syrian military seeks to remove Al Qaeda terrorists from one of its own cities. There is also the issue of why writers who helped mislead the American people and the world into the catastrophe of the Iraq War were never held accountable and are now in position to whip up more war fever over Syria, Ukraine and Russia. Far from being held accountable, the propagandists who justified the criminal invasion of Iraq have been rewarded with plum assignments and golden careers. For instance, Washington Post editorial page editor Fred Hiatt, who repeatedly wrote as flat fact that Iraq was hiding WMDs, is still today the editorial page editor of The Washington Post, urging a new U.S. war on Syria. The Times’ Friedman, who was infamously wrong about the Iraq War and pretty much everything else, is still considered a premier American columnist who is courted to make high-profile public appearances. After going on for several paragraphs with his fake “news,” Friedman admits that “I made it up.” Ha-ha, so clever! Then, however, he cites what he claims is real news about Russia, including the dubious prosecutorial “report” blaming the Russians for the Malaysia Airlines Flight 17 shoot-down on July 17, 2014. That “report” – actually a series of videos – had serious evidentiary gaps, logical problems and obvious bias, since it was driven largely by Ukraine’s notorious SBU intelligence service which the United Nations has accused of covering up torture. It might be noted that some of that “irrefutable video evidence” came in the form of computer-generated images of an alleged Russian Buk missile battery traveling down darkened Ukrainian roads, very persuasive scenes, much like Secretary of State Colin Powell showing computer-generated images of Iraq’s “mobile chemical weapons labs” in 2003, labs that didn’t exist. 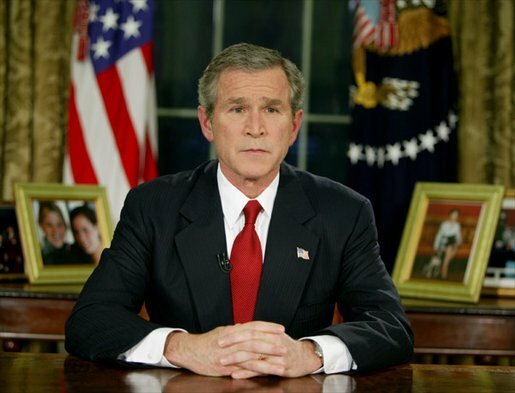 It also might be remembered that Iraq’s Saddam Hussein was also accused of mounting “an elaborate cover-up” of his WMD stockpiles, that also didn’t exist. The point being that slick presentations, which rely mostly on assertions and allude to untested evidence, aren’t always accurate. Skepticism is not only a sign of journalistic professionalism but is necessary to avoid horrible misjudgments, especially on questions of war and peace. But Friedman just plunges ahead, also asserting that on Sept. 19, Russia bombed a U.N. relief convoy heading for Aleppo. In this case, Friedman cites U.S. intelligence officials who say that “almost certainly” Russia did it, although I had been told that some CIA analysts feared the attack was launched by Al Qaeda’s chief Syrian ally, Ahrar al-Sham, using a U.S.-made TOW missile. The United Nations also withdrew its initial assertion that the attack was an airstrike (although Friedman leaves that fact out, too). This is not to say that the Russians are innocent in these terrible incidents. Further evidence might convincingly prove that they are guilty – and, if they are, accountability should be assessed as appropriate. Horrible errors happen in war, such as the U.S. airstrike that killed some 62 Syrian soldiers in eastern Syria on Sept. 17 as they were fighting off an attack by Islamic State militants. The problem with propagandists like Friedman is that they ignore the illegal actions of the United States, including mounting military attacks on countries without United Nations’ authority or without the justification of self-defense, in other words, outside the realm of international law. It’s also illegal to supply weapons to terrorists, as has been occurring in Syria both directly by Saudi Arabia and other U.S. “allies” and indirectly by U.S. covert operations giving arms to “moderates” who then turn them over to Al Qaeda. While putting on blinders regarding U.S. violations of international law and their human consequences, such as the Syrian refugee flow, the sanctimonious Friedman bizarrely blames Putin for this human suffering, too. While it’s always tempting to dismiss Friedman as a nitwit, the sad reality is that he is an influential nitwit who helps shape “elite” American public opinion. He is now contributing to a new “group think” that is even more dangerous than the one he helped construct in 2002-2003 regarding the Iraq War. Today, this new “group think,” which — like the Iraq one — is based on a false or selective reading of the facts, could lead to a nuclear war that could end life on the planet.